Project scale: 100 adjacent shophouses, duplex villas, single villas. High floor of building: 05 for shophouse, 05 floors for independent BT. Real estate structure: International standard eco-resort villas. 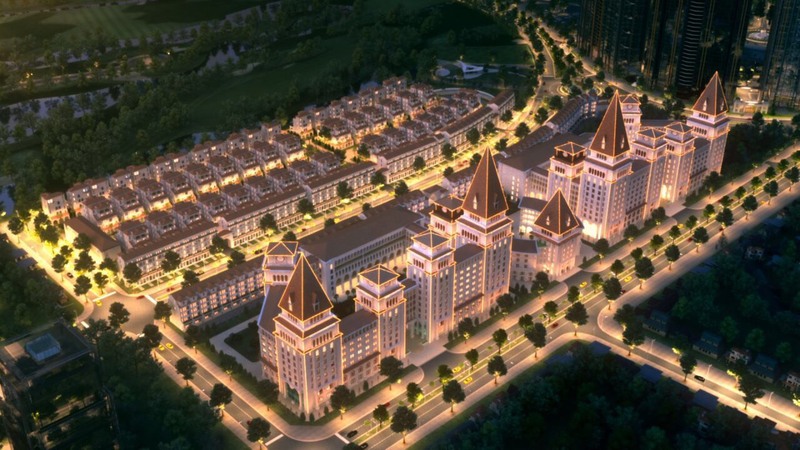 Sunshine Wonder Villas project was built on the south bank of the Red River and is also very close to West Lake which enjoys the prosperity from the flow of fortune, located at the center of the golden land of Nam Thang Long, close to the center. 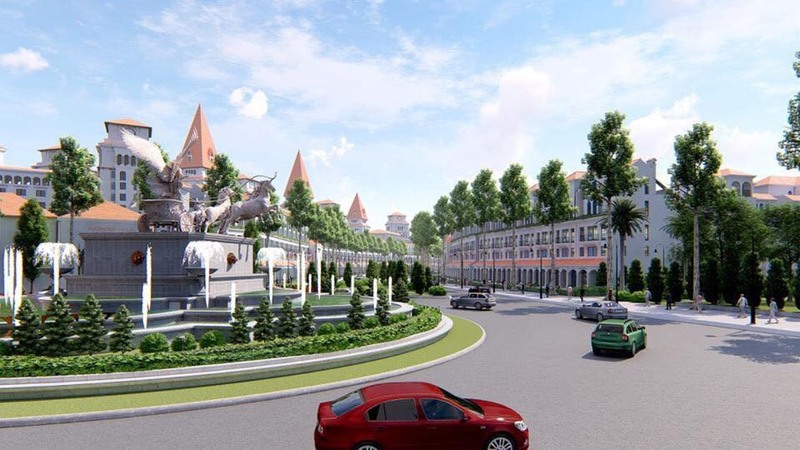 New administrative area of ​​Hanoi, conveniently connected to every aspect of inner city traffic, Sunshine Wonder Villas is a place of harmony of traditional values ​​and modern life. - Vo Chi Cong Street - Nhat Tan Bridge to Noi Bai, this road will connect with Buoi Street - Lang Street into a traffic system running around Hanoi Capital. 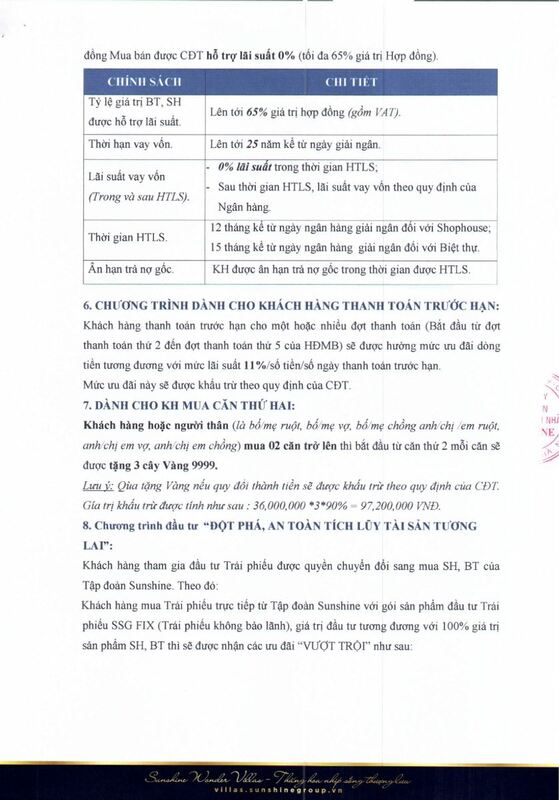 - Thang Long - Noi Bai - Pham Van Dong Road cuts Hoang Quoc Viet Street and connects to the Ring Road 3 to help move south of the city to the National Highway 1 very conveniently. - The road of Lac Long Quan - Au Co - Buoi Street makes moving into the inner city of Hanoi very convenient. - Nguyen Hoang Ton Street cuts three routes above to help move from Ciputra urban area to many choices anywhere in the city and suburbs of Hanoi. In order to bring to customers the best and best real estate products, the investor and the leading partners in the real estate sector have had plans and strategies to specifically build the Sunshine project. Wonder Villas transforms into Vietnam's leading megacity. Sunshine Wonder Villas Villas are architected with a variety of areas, in accordance with the stable needs of many families. Sunshine Wonder Villas villas all bring a modern and luxurious style with fully furnished to bring a useful life to the homeowners. Along with that, the villa area is also built according to the model of a modern garden house, along with the houses, it is a large garden surrounded by trees, which is very reasonable with customers who prefer safe and close living activities. with nature. Be refreshed to see the beautiful scenery, call the fresh wind and the light balance, harmony will give you the most relaxing and comfortable moments. The villa area is designed with many flexible areas suitable to the needs of many families. All villas are modern and luxurious design with full interior to bring comfortable living for the owner. Along with that, villas are built in the style of garden houses, mixed with houses that are large gardens surrounded by trees to help residents have a peaceful life close to nature. Shophouse Sunshine Wonder Villas get the idea of ​​texture from the terrain that is considered a symbol in the world. Sunshine Wonder Villas is the solemnity of New York; the luxury, magnificence of the Parisian capital of light, or the peace of Melbourne - Australia. 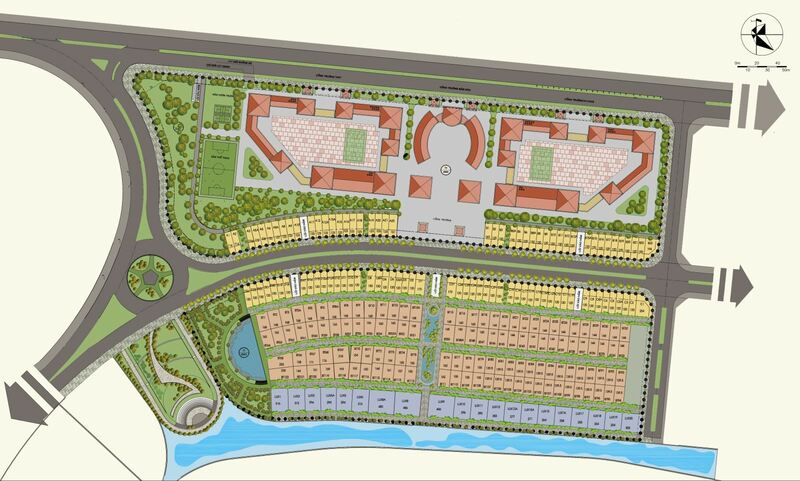 All will be summed up in the unique design of Sunshine Wonder Villas in a sophisticated, luxurious way. Especially, commercial townhouses will be structured with square shape, flexible in area and optimal in possessing capacity to meet your diverse needs. Shophouse Sunshine Wonderland Villas is cleverly designed and able to settle and business. Along with that, the lower floor is designed with a commercial model with a spacious space and a space to display convenient items for business. 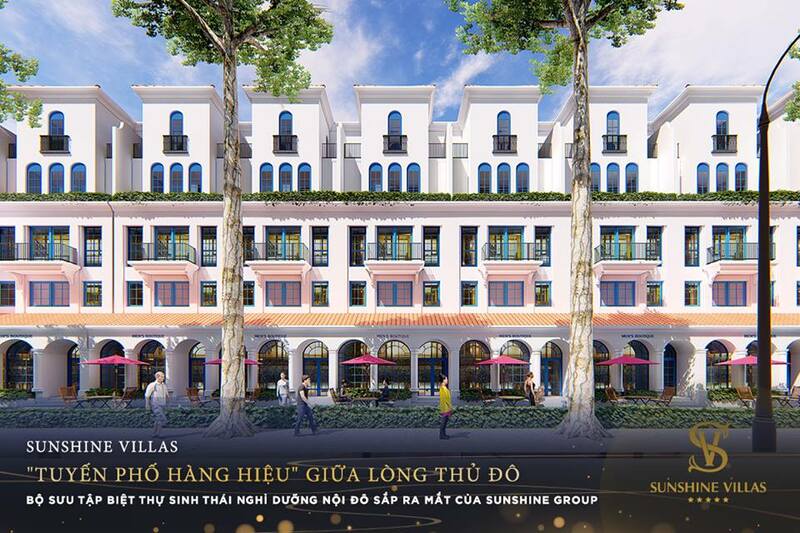 Shophouse Sunshine Wonder Villas for business promises to receive high economic value worthy of the money. 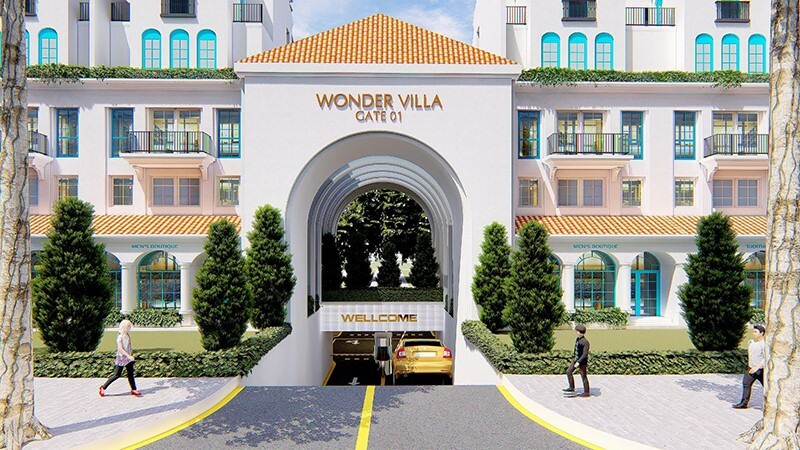 SUNSHINE WONDER VILLAS VILLAS Adjacent Sunshine Wonder Villas is Sunshine Group's new strategic product that is expected to launch the Sunshine Wonder Villas project capital market in the near future, promising to be a special product with many Outstanding utility services. 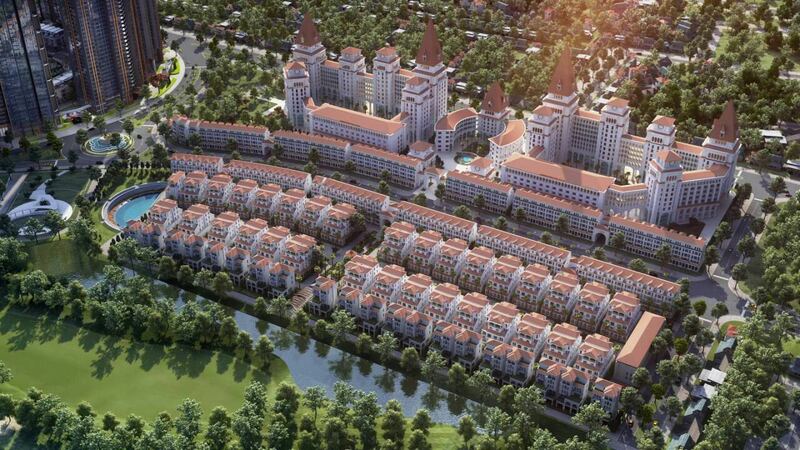 With the aim of bringing customers the best and the best products, the investor and the leading companies in the real estate sector have had plans and strategies for building Sunshine Wonder Villas specifically to become super Vietnam's leading metropolis. Adjacent Sunshine Wonder Villas is one of the most sought after products. Adjacent to Sunshine Wonderland Villa is also a product with profound humanity values ​​that helps connect the families together to build a civilized community. 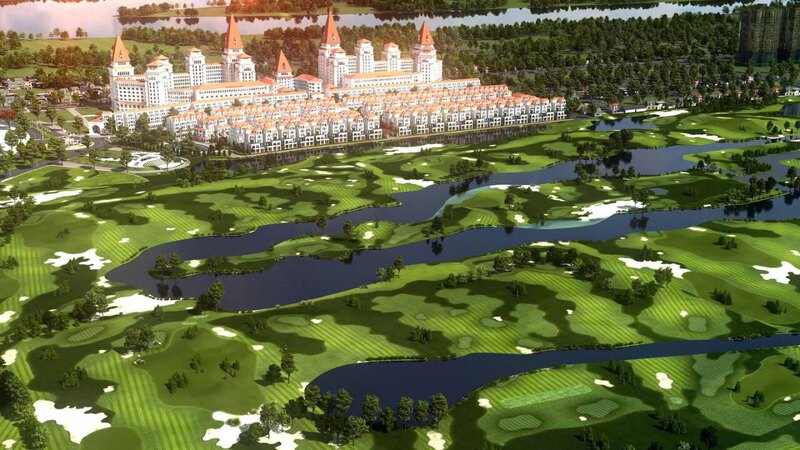 With the aim of bringing customers the best and the best products, the investor and the leading companies in the real estate sector have had plans and strategies for building Sunshine Wonder Villas specifically to become super Vietnam's leading metropolis with outstanding and perfect living facilities. - Helipad, Sky Bar, Aerial Walk, Infinity Swimming Pool. - Supermarket, 24-hour grocery, Organic food store. - Wine cellar, Restaurant system serving daily, Bar Beer. - Four seasons swimming pool, gym, spa, massage. - Tea room, family karaoke room. - Kindergarten, clinic, pharmacy, supermarket interior decoration. - Free Wifi throughout the area. With the idea of ​​building a peaceful residential garden for you - Sunshine Wonder Villas is cared by the investor with beautiful green areas to bring the most fresh atmosphere. Belonging to the ultra-luxury real estate product line developed separately by Sunshine Group, Sunshine Wonder Villas - The inner city ecological villa includes outstanding values, drawn from the essence of the Villas form above. World. Interior is far away Application technology platform 4.0 Service of 7 specialized stars, serving 24/07 Home stay benefits Unique value (bespoke) with interior design specially, complete villa at the request of the owner. The project consists of a single ecological villa, a duplex villa and a shophouse commercial townhouse. 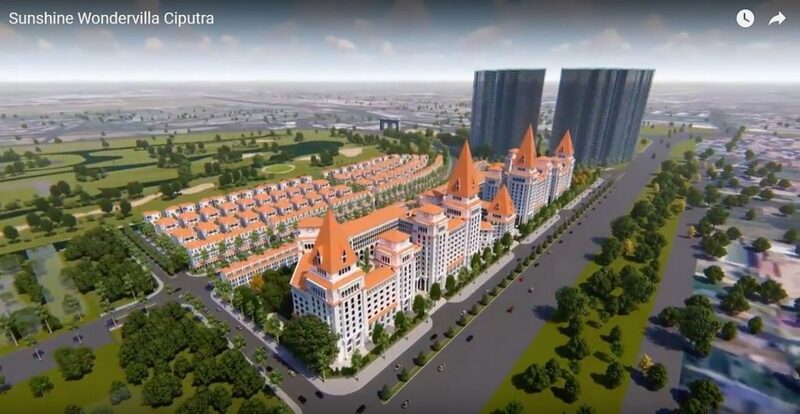 Here shophouse plots will take over the function of ciputra shophouse, since Ciputra currently has no commercial townhouse line, and also takes care of the shophouse function because of its location. 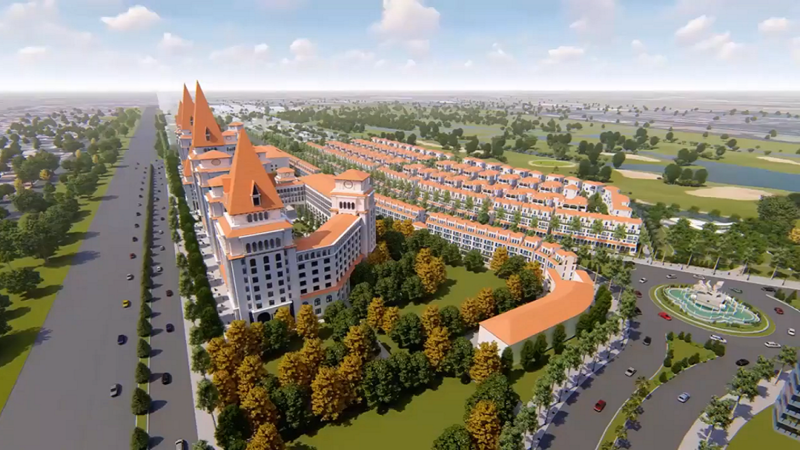 All information given by investors about the Sunshine Wonder Villas project is only expected. Customers interested in Sunshine Wonder Villas project please leave the form information below to get more information. with fabrics, high-quality leather of loose furniture. apartment is an elegantly colorful note, centered on The overall academic spectrum and the elegance, sophistication and sophistication. focused and paid attention to." The imprint of unique interior, "parcel" is a unique feature of Sunshine Wonder Villas apartments. between Sunshine and famous Italian interior design brands. 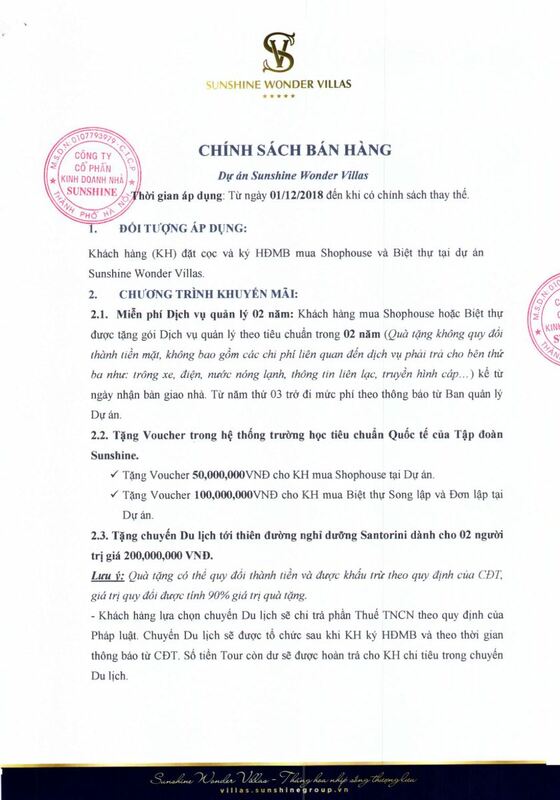 Therefore, as soon as the policy of "interior delivery" of Sunshine Wonder Villas villas (with many choices for customers, including: Basic interior package with interior and expansion pack - loose interior by private Sunshine's problem) was revealed in the market, immediately caused the curiosity and anticipation of the market, long time Sunshine Group still has the reputation of being a strong investor with bold interior details. Gold even for Sunshine Apartment series (luxury apartments, luxury apartments). - Beautiful location of Sunshine Wonder Villas. - Speaking of real estate, the position always plays a huge role, especially projects in the area around West Lake. West Lake is always a hot spot of the real estate market, chosen by the rich and foreigners as a place to settle. Therefore, the price of land in West Lake area and surrounding areas is always high. Owning a land just to stay and serve business here is the dream of many people. - In this context, the adjacent commercial townhouse (shophouse) belonging to Sunshine Wonder Villas project has an investment of VND 5,000 billion of Sunshine Group has satisfied many investors. - Located in the area near Pham Van Dong Street - the highway connecting Noi Bai International Airport with the city center, shophouse Sunshine Wonder Villas inherits convenient transportation infrastructure. Besides, because it is next to the Red River, overlooking the West Lake, the living environment in Sunshine Wonderland Villas is always fresh. 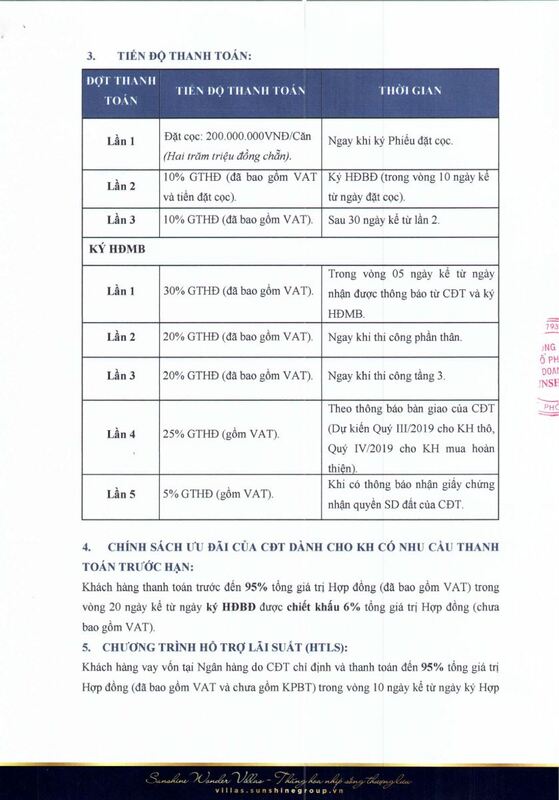 by Vietnam Real Estate Magazine. Earlier this year, Sunshine Group was honored in the awarding ceremony for Top 100 strong Vietnamese brands. pioneer real estate enterprise to successfully apply 4.0 technology in project management and operation. - With a dedication to building real estate projects that make a mark on the market, Sunshine Wonderland Villas is a highlight of the Sunshine Wonder Villas project with European style design. - Bringing classic French beauty, shophouse Sunshine Wonder Villas exudes luxury. The difference of this shophouse is the green park area, the inter-connected and diverse internal traffic roads. - Each shophouse is designed in two with a high class furniture, both serving the needs of accommodation, business or renting premises. - Each red book of Sunshine Wonder Villas is issued with red book, ensuring legal status and settling. According to experts, in the future when the supply of this area becomes less and less, the property value of Sunshine Wonder Villas will increase. - In addition, the advantage of Sunshine Wonder Villas is that it can do business or lease back. With modern space, this area promises to become a busy shopping center, satisfying the needs of the resident community of Nam Thang Long urban area. - In order to give customers more opportunities to invest in Sunshine Wonder Villas commercial townhouse, Sunshine Group adopts a policy of giving 2 years of Sunshine standard management fee right away, giving interior finishing package up to 500 million VND with land plots of less than 200 m2 and 1 billion VND hungry for a plot of land of over 200 m2. customers pay 95% of the contract value, discount 5%. - In addition, customers also get loans from banks up to 65% of contract value, 0% interest rate during the period of interest rate support. Loan term is 20 years from the disbursement date.